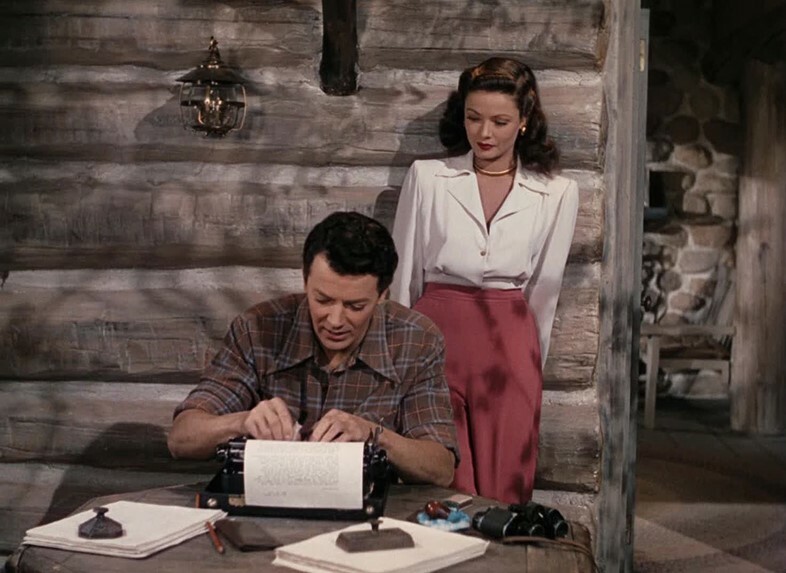 John Stahl’s Leave Her to Heaven (1945) has all the usual traits of film noir; it’s underpinned by suspenseful fatalism; its characters are inherently gloomy. The one major difference? 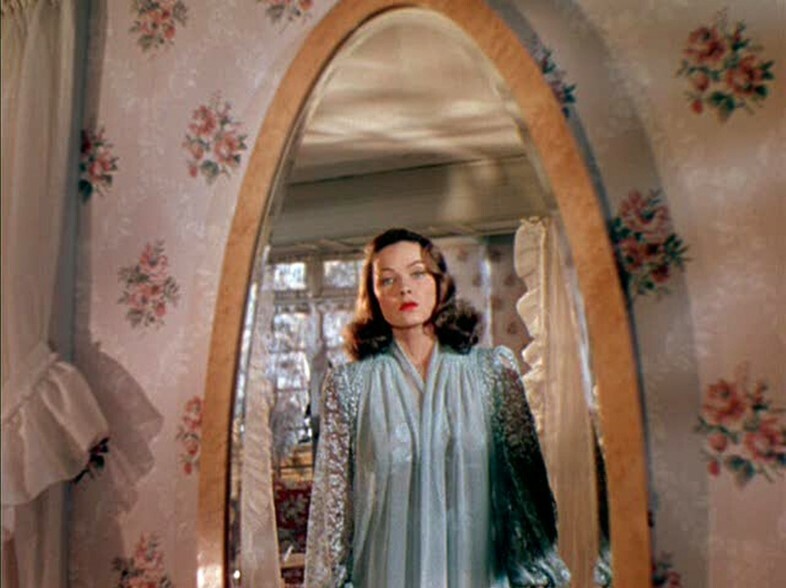 It is filmed in what Martin Scorsese dubs “glowing and gleaming technicolour” – the almost hyper-real world of its cinematographer Leon Shamroy dominates the screen, and rightfully won him the 1945 Academy Award for best cinematography – which makes its truly immaculate costume design all the more satisfying. 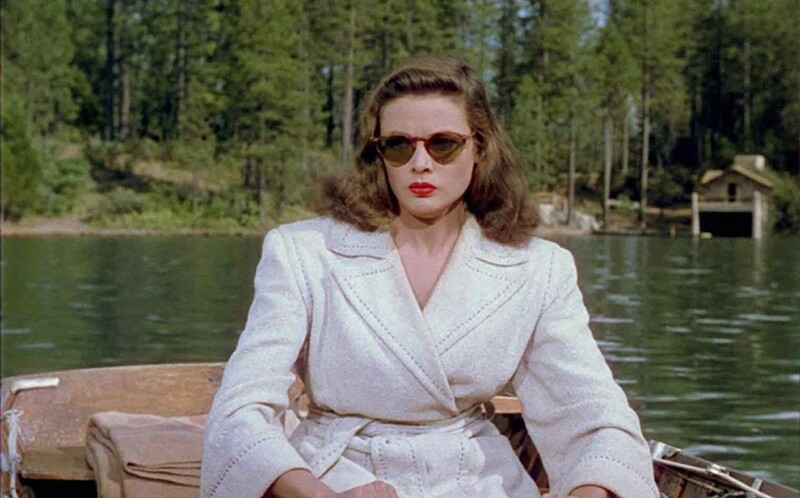 Based on the best-selling novel by Ben Ames Williams, the sinister tale follows the trials of the novelist Richard Harland (Cornel Wilde) and his encounter with the beautiful but troubled Ellen Berent, played by an unforgettable Gene Tierney. Ellen is a woman who always wins – fierce, passionate, and also, it’s rapidly revealed, slightly unhinged. Her possessiveness of Harland soon begins to undermine all relationships in her life, as she seeks to desperately keep the two isolated from the world around them: “I don’t want anyone else to do anything for you but me,” she says. Her mother contends: “there’s nothing wrong with Ellen. It’s just that she loves too much.” Disquieting though her demeanour may be, Ellen’s sartorial codes are second to none – whether she’s gazing vacantly into her bedroom mirror in powder blue lace, or watching her brother-in-law drown in a lake, her white robe as tightly cinched as her morals. Here we take a moment to study Stahl’s murderess’ impeccable style. When we first meet Ellen it’s not her beauty we’re captivated by, but her intellect; with her face hidden behind the dust jacket of Harland’s latest book. Harland is instantly intrigued, and attempts to woo his new acquaintance with his writing. “While I was watching you, exotic words drifted across the mirror of my mind as summer clouds drift across the sky,” he tells her, transfixed. Ellen’s not so easily taken in by his efforts, but ultimately she’s still hooked; proof that reading well can offer the most unexpected rewards. With silk so often swapped for jersey and unsophisticated flannel in modern garments, the art of dressing up for downtime has been all but lost to history. We suggest taking a cue from Ellen’s elegant 1940s nightwear, with monogrammed silk two-pieces, delicate negligées with drawstring puff sleeves, and a long cosy dressing gown – ideally in camel, with a white trim. The day doesn’t stop when the sun goes down, after all; indeed in Ms Berent’s case, it’s clearly just getting started. As evidenced by the S/S17 collections, red and pink make for excellent bedfellows. 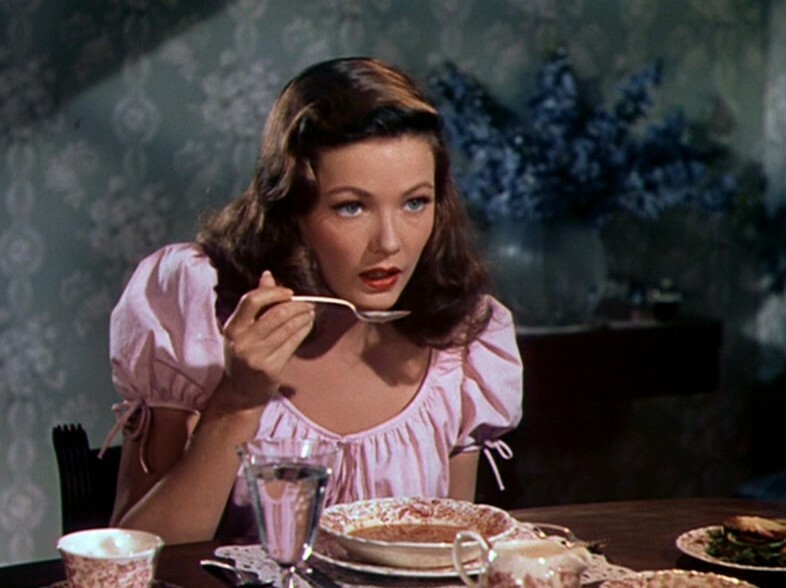 The neighbourly colour-wheel shades meet frequently in this film, whether in wide lobster-tinged palazzo pants paired with candyfloss knitwear, or perfectly lined lips in pillarbox red, juxtaposed with powder-puff satin sleeves. In beauty looks, rosy cheeks are an apt accessory, preferably worn with a crimson swimsuit at the beach. 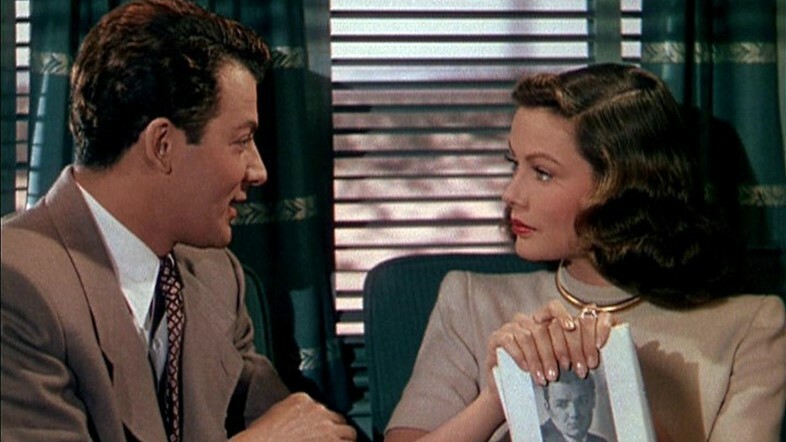 Kay Nelson is credited with designing the costumes for Leave Her to Heaven, but when the time came to shoot, Tierney’s first husband, famed designer Oleg Cassini, couldn’t keep himself from pitching in. Cassini created a custom-made white pantsuit with the initials of Tierney’s character embroidered onto the bodice especially for her role. 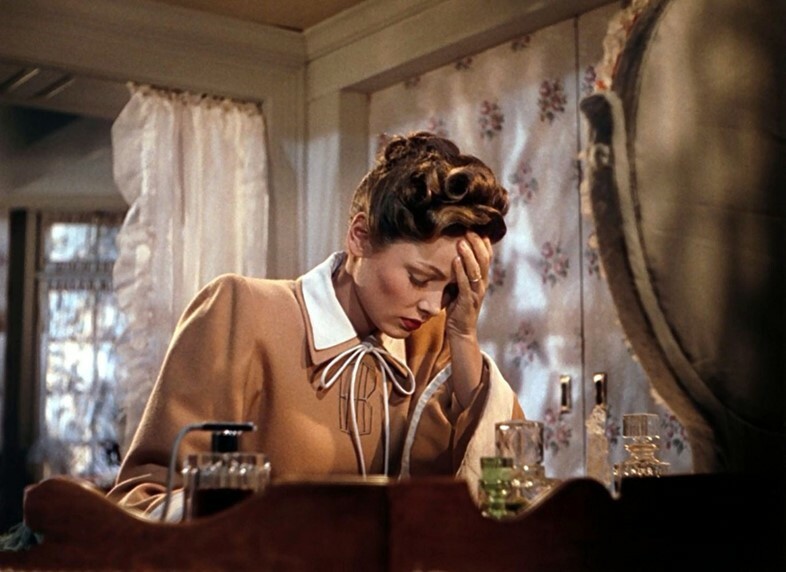 Names adorn objects and items of clothing to great effect throughout the film, seemingly underscoring the characters’ self-possession, with everything from Ellen’s shiny sleepwear to her sister Ruth’s towels monogrammed in cursive. There’s a lot to be said for dressing as though every day might be the day you commit a life-altering offence against humanity. Needless to say, Ellen has foresight nailed, and she’s never not prepared for the occasion, whether that means looking icily down through her gold-tinted sunglasses in the now iconic scene in which her sibling begs for her help from the lake, or the baby blue satin mules and matching lace peignoir she dons before casting herself down a flight of stairs to kill her unborn child. Her finesse for dressing to suit the occasion is admirable, even if her behaviour is not. We advocate heavily for the former.